In Congressional Districts, is there a correlation between political leanings and educational attainment? 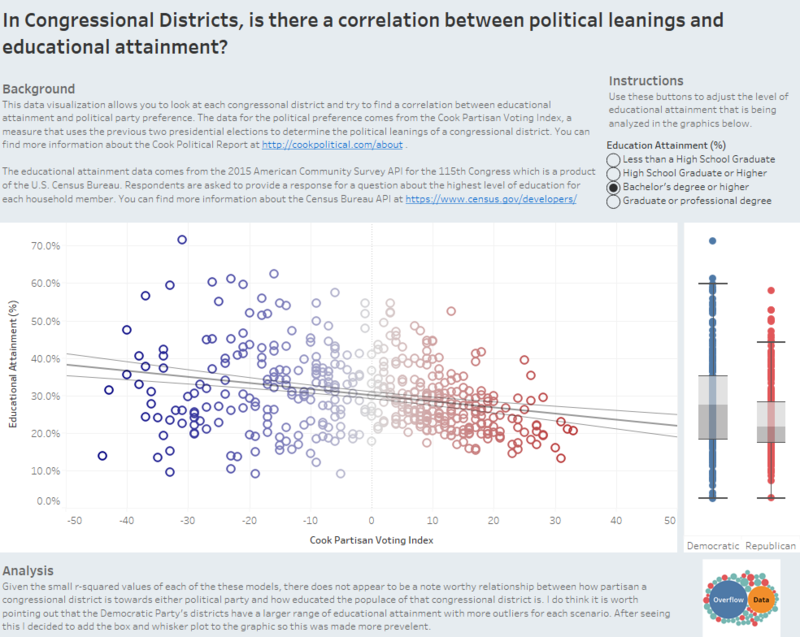 You are at:Home»Special Projects»Politics»In Congressional Districts, is there a correlation between political leanings and educational attainment? 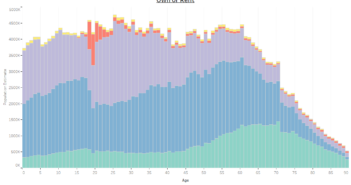 In this data visualization, we use Tableau to determine if there is a relationship between political party preference and educational attainment. 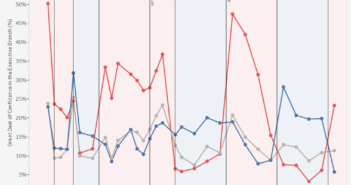 I gathered data from Wikipedia about partisanship and used the Cook Partisan Voting Index to represent political party preference numerically. I then gathered information on educational attainment from the Census Bureau’s API for the 2015 American Community Survey. 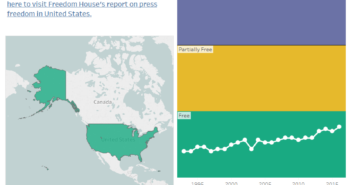 More detailed information is available in the data visualization. If you want to find out more about where each congressional district is you can find it here on govtrack’s website.